I confess that I'm not exactly doing cartwheels over this week’s list, gang. Revolutionary Road? Defiance? He’s Just Not That Into You? Each has its defenders and detractors, but none really stirs me. 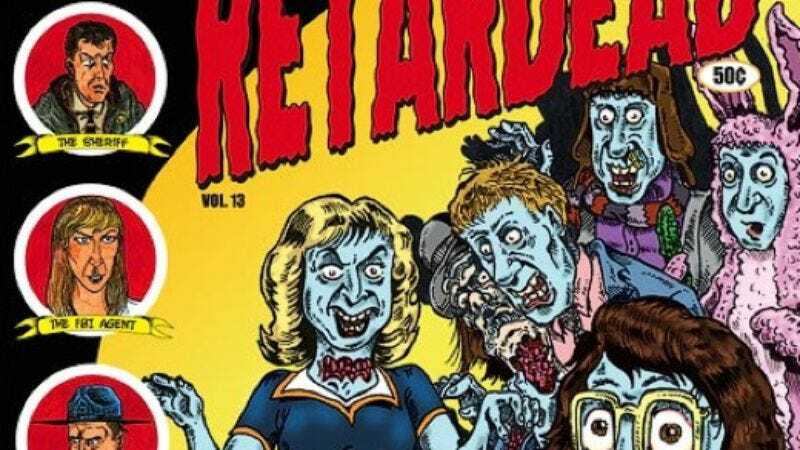 I’d love to talk up Retardead instead, if only because it has such an awesome title, but I know nothing about the awesomeness of the actual movie, so I’ll have to leave it to y'all to pursue that one on your own time. I’ve also not seen Rhino’s set of Fillmore: The Last Days, though the early ‘70s footage of Santana, The Grateful Dead and The Jefferson Airplane is surely worth checking out if you’re a fan of that whole scene. The one obscurity I can talk up with some authority is the superb Jean-Luc Godard rarity Une Femme Mariée, but I’ll be covering that in full in the regular DVD section in a couple of weeks, so I’d better keep a lid on my thoughts until then. Like I said, you’re on your own this week. Good luck. Don't get bit by the retardead.